When we think about comfort food, what comes to mind are heavy dishes that are usually high in calories and fat. Ooey gooey cheesy casserole, meat heavy stews and carb loaded dinners. But did you know that in Asia, comfort in a bowl is a dish that’s healthy and packed with goodness? Meet hot pot, Asia’s answer to nutritious comfort food! If you haven’t tried hot pot, we are telling right now that you are missing out. It’s the best comfort food on the planet! And we are going to show you how to make it at home. Don’t be afraid, making hot pot is as easy as making vegetable soup! Hot pot is a shared experience that is enjoyed among friends and family. People gather at a table to eat a meal that’s cooked in a shared pot. It’s a communal feast that’s extremely popular across Asia, especially during the cooler months, for its soulful flavors and warming properties. What Makes Hot Pot, a Hot Pot? The wonderful thing about hot pot is that it’s very versatile. 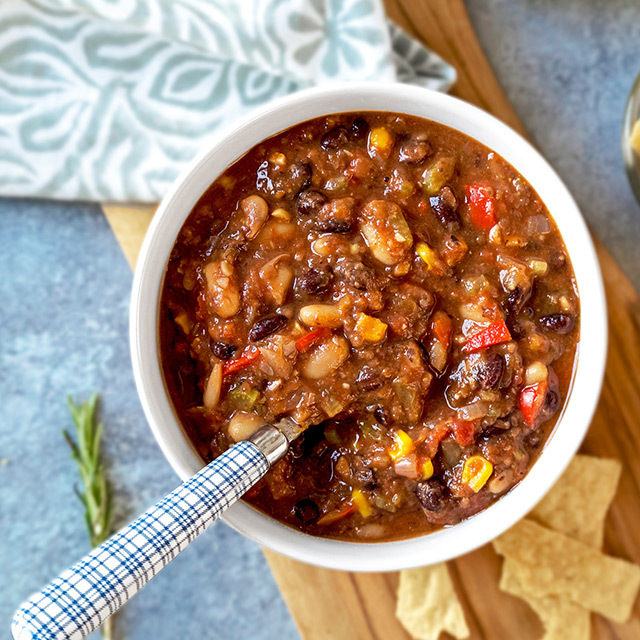 You can flavor it however you want and add pretty much any ingredient you like. Soup or broth. It can be a simple light broth made with dashi and kombu, a super spicy Sichuan broth packed with dried red chilies, a sour lemon broth (pictured above), an earthy mushroom or miso broth, or a sweeter broth using a mix of soy sauce, mirin and sugar. Dipping ingredients. These are the ingredients you will be adding to the broth to cook and then dip in the sauce. You can go crazy here and add anything you want! Most hot pots use a mix of vegetables, noodles, meats, tofu, rice cake, and seafood. Dipping sauces. Dipping sauces are essential to complete the hot pot experience. You can make your own or buy some at your local Japanese supermarket. The most popular types are ponzu, goma shabu, and regular shabu shabu sauce. What are Some Hot Pot Dishes I Can make? 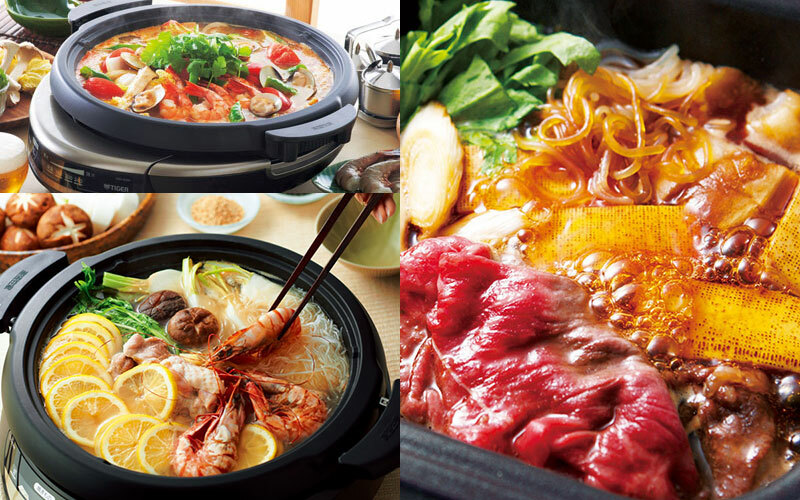 Chinese hot pot, shabu shabu, sukiyaki, nabemono… The list goes on and on! 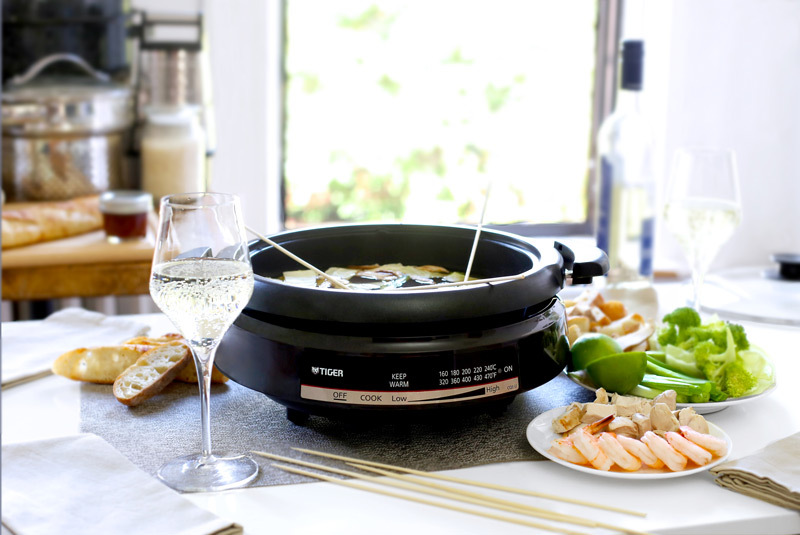 An electric hot pot – did we mention we have the best one? Ours also turns into a grill plate so you can make Korean barbecue too! Long chopsticks to stir and serve food. Dipping bowls. Two per person is recommended. Small ladle to scoop up broth and hard-to-grab ingredients. TIGER Electric Hot Pots – Easy Clean Up. Affordable. Multi Purpose. We are proud of the products we sell and always focus on quality. Our goal is to provide small kitchen appliances that are multi purpose so you get the most out them. So when we created an electric hot pot, we decided to add an extra feature – a grill pan so you can have your own indoor barbecue! The Tiger CQE-B Electric Skillet comes with a 2.4″ non stick deep pan ( you just have to remove the hot plate to access the deep pan underneath) perfect for hot pots and other dishes that require height or the use of liquid. The adjustable thermostat, up to 446°F (230°C) makes it easy to maintain the proper cooking temperature. This unit comes with a tempered glass lid to keep grilled food warm. If you enjoy charred grill marks on your food, you will be interested in the Tiger CPK-D Electric Skillet which comes with a barbecue plate. This model also comes with all the same features as the CQE-B, including removable plate and deep pan for easy clean up.